Christopher Rose is a registered architect and interior designer who has been practicing sustainable award winning architecture for over 30 years. Specializing in custom residential and affordable housing for new construction and renovation that are designed to blend with their surroundings and environment. Headquartered in the low country of South Carolina he is keenly award of designing homes that are suited for a hot humid climate and can stand up to the elements. However, he has designed homes all over the country. The firm has also been involved in renovations from small additions to large whole house remodels. Through this we have gained much experience in which materials and construction techniques hold up over the life of the building. Galloway Family Homes is a family business — run by two local brothers who grew up watching their father work in the home industry for such well-known national and local construction businesses. Clint and Bennett Galloway bring a professional and fresh vision to the home building business. 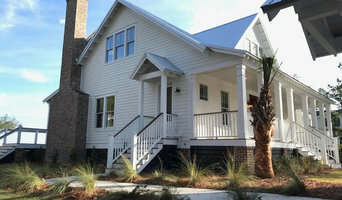 Their dream was to build innovative new home designs with the South Carolina lifestyle in mind. Today, Galloway Family Homes offers new homes for sale in both Charleston and Columbia with a variety of price ranges and styles. The Galloway brothers are heavily involved in the day-to-day operations of Galloway Family Homes and offer their customers a personalized and unique experience. The values they grew up with – honesty, integrity, and a drive to succeed are evident in all aspects of this new home construction company. With over 35 years of experience in the South Carolina home industry, you can trust Galloway Family Homes with all of your home buying needs. Our Process As new home builders, Galloway Family Homes are designed to allow for the best use of space with all homes undergo pre-inspections and come with a 10 Quality Builders Warranty. From contract to finish it typically takes 6 months to build a Galloway Family Home. Homes can be personalized to reflect your unique style and taste. 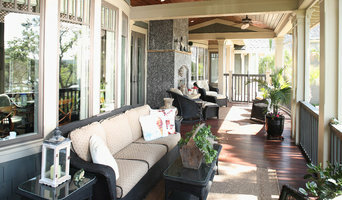 If you’re looking for a new home in Columbia or Charleston – look to Galloway Family Homes. CAVA Custom Build specializes in turn-key, custom residential building projects including new home construction, additions, renovations and outdoor living spaces. Regardless of the size or scope of your home building project, Cava is happy to meet with you personally to discuss your preliminary ideas, budget and schedule. Whole Home Renovations $150,000 -$1 Million. Historic Renovations $150,000 to $1 Million. Kitchens $50,000 to $350,000. Sm Bathrooms $20,000 to $40,000. Master Bathrooms $30,000 to $75,000. Room Additions $50,000 to $250,000. Porches $45,000 to $325,000. Outdoor Living Spaces $50,000 - $425,000. Accessory Dwellings $175,000 to $250,000.Detached Garages $75,000 - $225,000. Home Repairs from $2,500 - $125,000. New Homes $200,000 to $2 Million. Estimates based on experience. Your actual costs may vary depending on the scope of your project. Cava Custom Build coordinates the efforts of all team members - providing a simplified and seamless approach to complex projects. We are adept at steering out projects through the myriad of zoning and building requirements - And we develop a detailed Scope of Work, Budget and Schedule for every project to help eliminate surprises. Cava believes that building and remodeling should be enjoyable! Our team of trade professionals has been carefully selected to provide our clients with approachable, conscientious and highly skilled craftsmen. Our client-centered approach strives to reduce "construction anxiety" through dedicated involvement, strict quality control and effective communication throughout the process. About Us: A licensed home builder and resident of Johns Island, Cava Compton has been working in the Charleston building community for over fifteen years. With her extensive knowledge of high-end residential construction, coupled with her broad network of local building professionals, she is able to guide your new home or remodeling project from start to finish. Cava is also one of few licensed women builders in the area and is LEED certified! Contact us for a consultation about your project.